Imagine a world where magical girls, space aliens, super spies and giant robots all existed together. In this bizarre and crazy world, an organization has been formed to manage, protect, and if necessary, eliminate potentially dangerous superpowered individuals. This Superhuman Bureau and its own superpowered squad work to defend those who defend the Earth. Kikko Hoshino is a novice magical girl who is caught up in a sting operation by the mysterious Jirō Hitoyoshi. When the plan goes sideways, an alien agent grows to giant size and threatens to destroy the city. Fortunately, the towering defender of Earth, Grosse Augen, leaps into the fray to prevent a rampage. Kikko and Jirō work together to stop the alien, but Jirō is not about to let Grosse Augen walk away. Hoo boy, this first episode was a doozy. 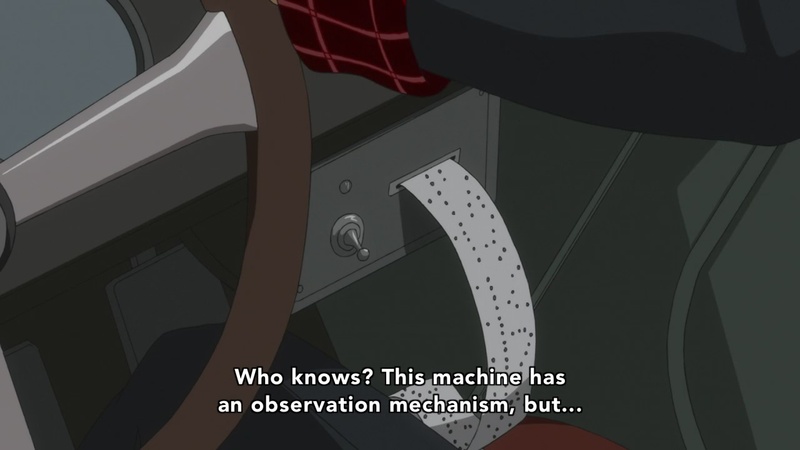 It should be obvious from the incredibly streamlined description I gave above that Concrete Revolutio comes on fast. It starts off by throwing a lot of worldbuilding, alien fights and flash-forwards around in a big hurry. While I was initially a bit overwhelmed, the story soon comes together and became a fun ride with enough craziness to keep me on my toes. Revolutio is set in an alternate world that emulates Japan in (roughly) the 1960s. Superhumans, spirits and aliens are all known to exist, and the government has set up a special bureau to protect both these individuals and the public at large from the fights that inevitably break out when those kinds of characters meet. It’s a fine concept for a show, and both the writing and artwork embrace the inherent wackiness of the premise. Rather than trying to be grounded or even sane, the show opts to take refuge in its own absurdity. The characters and backgrounds are bright and bold, with many elements paying homage to classic giant alien fighting shows like Ultraman. The whole show has a decidedly retro flair, with vintage outfits, old-school giant monster fights and period technology, such as radios in place of cell phones and a scanner that prints out punched tape. Using a familiar but distant setting helps the show bypass a lot of questions that might come up in a more grounded or modern backdrop. This was once the future! The plot structure of the first episode is clearly setting up a longer arc for the series, which is one of the reasons it can be hard to follow at the outset. We open by introducing Kikko and Jirō in a cafe, then quickly cut ahead several years to the former chasing down the latter on a train. We then cut back to the first scene and see the events I described in the synopsis play out before jumping back ahead as Kikko confronts Jirō, who appears to be on the run from the Bureau. Once the episode was finished, the bookending of the flash-forwards made a lot of sense, but I can tell there’s a lot of context that needs to be revealed between the two timelines. 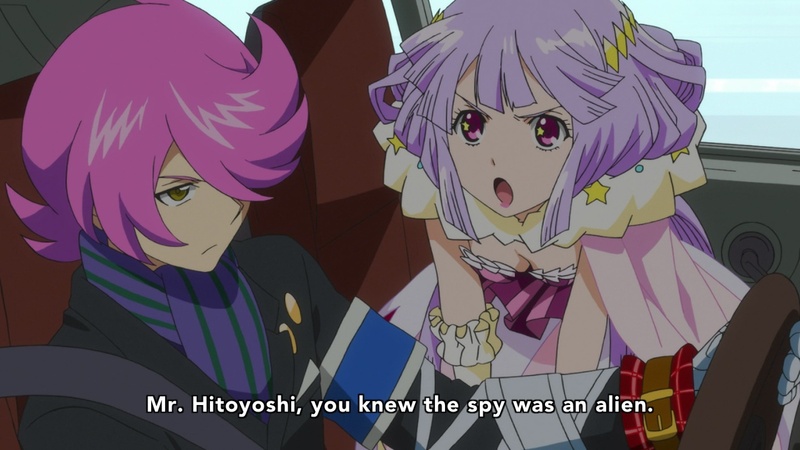 If there is one place I can see Revolutio stumbling, it’s with the characters. Kikko is a bumbling magical girl, apparently undergoing some kind of extended testing. Her goofiness is probably meant to be endearing, but I can see it getting on my nerves if they lean too heavily on it. Her magical companion critter-thing lives in her cleavage, so that’s another strike against her. 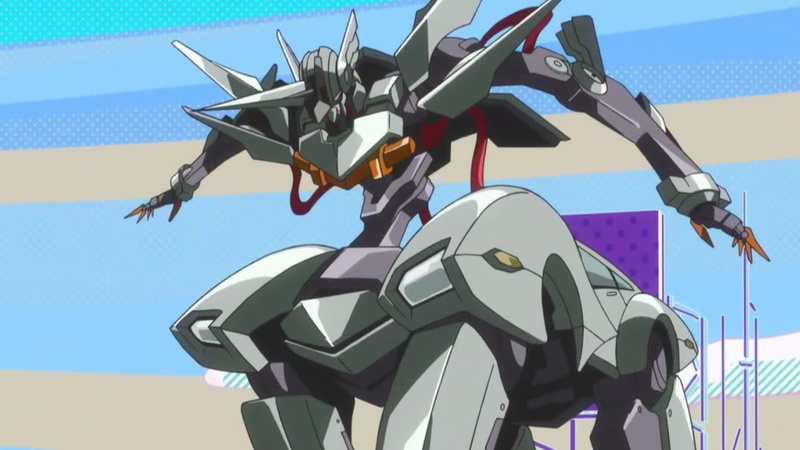 Jirō is a cool, aloof super-spy type with a transforming robot centaur car, and I’m actually totally fine with that. Neither of them looks to be breaking away from their archetypes any time soon, but the interactions between them were entertaining enough that I can see it working. The flash-forwards set off a few alarm bells for me, as both past- and future-Kikko already seem to be falling for Jirō hard, but this could make perfect sense as we get to know both characters. Me: SHUT UP, IT’S AWESOME! 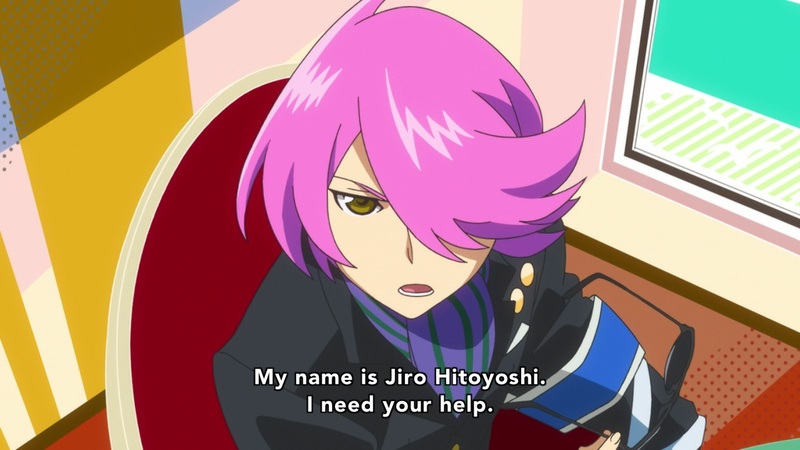 For now, I’m certainly looking forward to the rest of Concrete Revolutio. It wears its wackiness on its sleeve and embraces a neat retro aesthetic that I think I will enjoy. Now that things have settled down after the somewhat confusing introduction, I hope that the show takes the time to fully introduce the rest of the Superhuman Bureau’s staff and solidify the rules of their world. So long as it can find a nice balance between character drama and over-the-top superpowered action, I think it will turn out to be a fun experience.